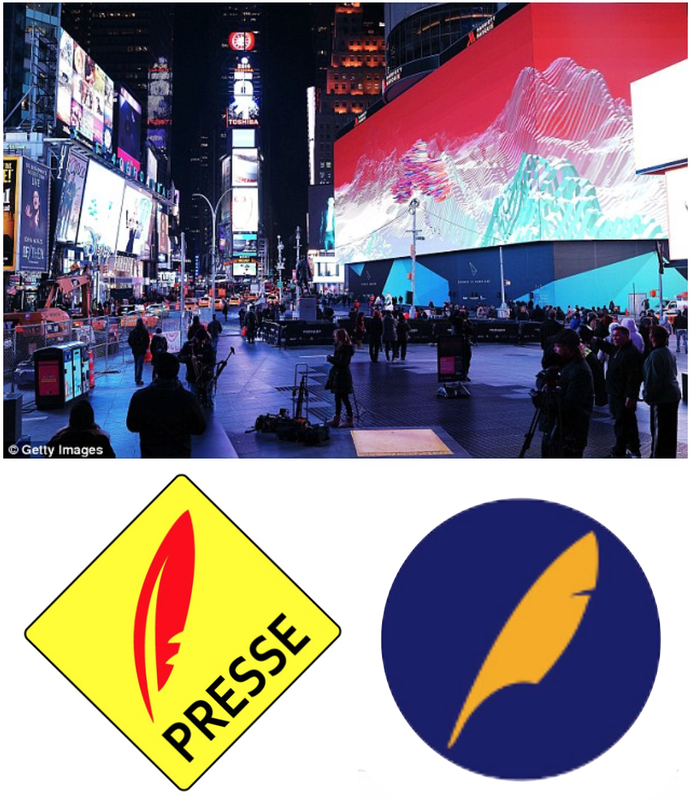 Paul Vickers : Design Thinking: Feather quill logos...! Think press, media and news information today and you think dynamic moving messages, interactive and digital. I'm always surprised how newsagent stores in France are still signed by medieval calligraphers feather quills. Explanation: Egyptian symbol of Ma'at - goddess of truth, justice & order. Later used as a Christian symbol of virtues. Maybe time for an update in the 21st century? Times Square screen, biggest in the world, as long as a football field, 8 storeys high, 24 millions LED's.